This is a post celebrating the special relationships that have developed in Naruto over the years. After arduous searching, I have found several AMV’s that I feel closely represent some of these romantic interests. At the end of the post please answer the poll on which video you felt MOST CLOSELY REPRESENTED the pair involved. Thank you and don’t forget to enjoy the music too! I found this video to fit Temari and Shikamaru fairly well. The thought of the line “Meet me halfway, right up the borderline” brings to mind Temari waiting at the Sand-Leaf border. Perhaps the two would meet up on border patrol? Anyway you spin it, I feel this song is appropriate for this pair. This story is quite realistic in that Hinata goes overlooked by Naruto in place for Sakura. Hinata, whose personality is not quite as vibrant as Sakura’s, could be imagined to compare herself to Sakura using the lyrics of this song. 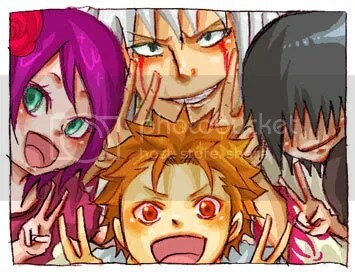 And, of course, most fans agree that Naruto “belongs to” Hinata. OK, this is possibly my favorite. Sakura has clearly been Sasuke’s fan throughout the series. Nearly every line in this song represents their relationship from Sakura’s point of view. “I’m your biggest fan, I’ll follow you until you love me.” It doesn’t get any more direct than that. This song is also quite pop and emotional, which how I imagine it, is perfect for Sakura and Sasuke. We all know how Rock Lee feels about Sakura. From the first time they met, Lee has held Sakura on a pedestal. “First class and fancy free, she’s high society.” I can definitely imagine Lee singing this to himself while training. My thoughts on the couple are amiable. I love Lee’s sense of chivalry that all too often is missing from guys today. If Sakura and Lee were to end up together it would mean that Sakura would be treated well forever; what girl wouldn’t want that? 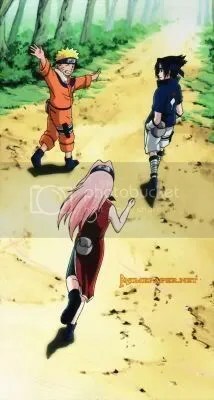 This song IS NOT romantic, rather I chose it to represent the special companionship that Sakura and Naruto have developed over their time as teammates. 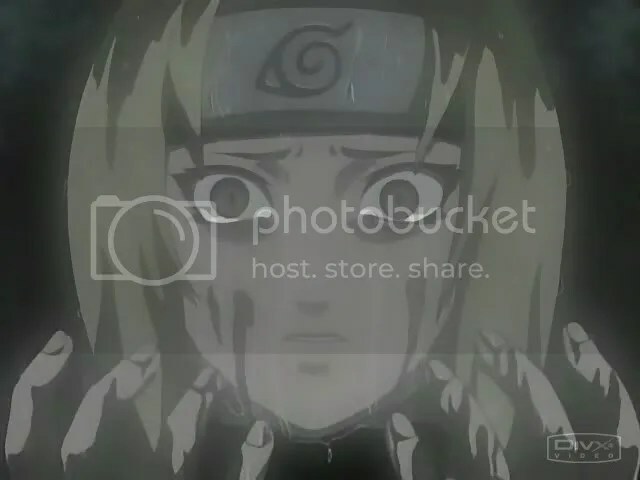 “Ooo I can’t take no more, her tears like diamonds on the floor, and her diamonds bring me down, cause I can’t help her now.” Sung by Naruto, this song holds true to his feelings about how to cope with Sakura’s feelings of losing Sasuke. I like this song because the singer clearly finds the burden of the woman’s tears too much to bear, similar to how Sakura’s sadness affected Naruto. Hey Shannaro! As most of you who know me know that I’m in college, you won’t be surprised to hear that I’ve become inspired to write a special edition post about what happens when Naruverse meets real-world college. In this post I will speculate on the course of study that I would expect characters from Naruto to undertake, were they attending a real-world university that I’m calling Shannaro University. For the younger Shannaro members I will offer a quick overview of university lingo. When students first start studying at a university they seek an “undergraduate degree” and are therefore known as “undergraduates” . When undergraduates attend college they choose a course of study known to them as their “Major” . They might choose to complete two separate courses of study in what is called “double Majoring” . They might also complete a smaller, usually unrelated, course of study to earn a “Minor” . For example, my Major is Biochemistry (Pre-Medicine) and my Minor is Chinese. Once a student completes the course of study they chose, he/she is awarded their “Bachelor’s degree” . From this point they will be known as a “graduate” and may choose to apply to Graduate School (for a Master’s and then a Doctoral degree) or to professional schools (such as Law School or Medical School). 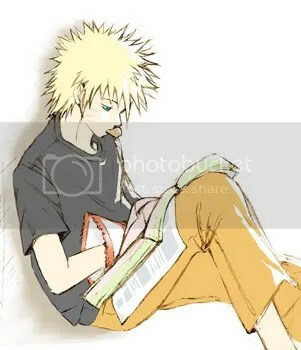 The purpose of this post is to have some fun categorizing our lovable Naruto characters into real-world courses of study. I also hope that the explanation given for the Major’s might help enlighten readers to the world of higher education and the possibilities of future careers. Naruto has really started to wizen-up in the manga recently. It seems that he now has a love of diplomacy and that he would do well to pursue a path in Sociology. I placed Naruto in the undergraduate course of Sociology because it will allow him to nurture his interest in establishing peace. 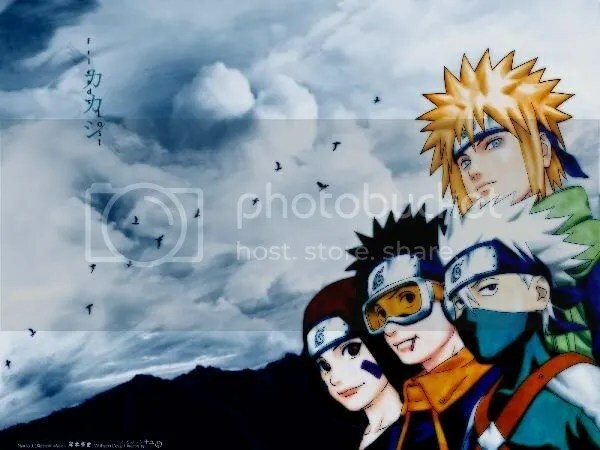 Sociology is defined as the study of the development, structure, and functioning of human society–something that I think we can all agree Naruto has come to understand more fully than his comrades. With his degree in Sociology, Naruto can expect a range of opportunities including, but not limited to, government positions or social work. I suspect that Naruto would apply to Graduate School in order to get his Master’s degree in Sociology. When I consider a real-world course of study for the lovable Rock Lee, there is really only one clearly appropriate choice. Lee would choose to Major in Kinesiology with a concentration in Secondary Education. Kinesiology is the study of the mechanics of body movement. Kinesiology Majors may chose a pre-professional concentration (i.e. Physical Therapy) or a Secondary Education concentration (which I chose for Lee), among others. That’s right my quick-to-the-catch readers, Lee is going to be a high school P.E. teacher! Don’t you all agree? 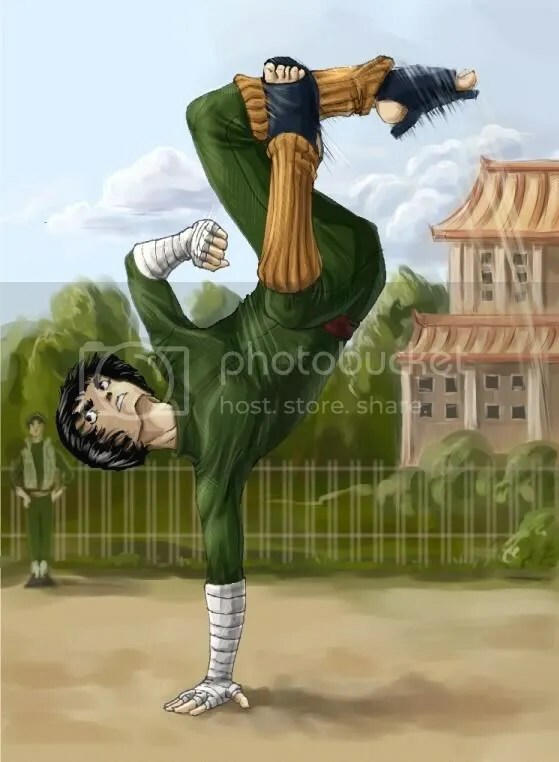 I personally think that Rock Lee would make the perfect high school P.E. teacher. He has a love of youth AND an intense passion for exercise. I do feel bad for his hapless pupils though; I can only imagine what he will make them do! When thinking of Sai I think first of his artistic abilities and second of his social ineptitude. Therefore I decided to place Sai as an Art Major. 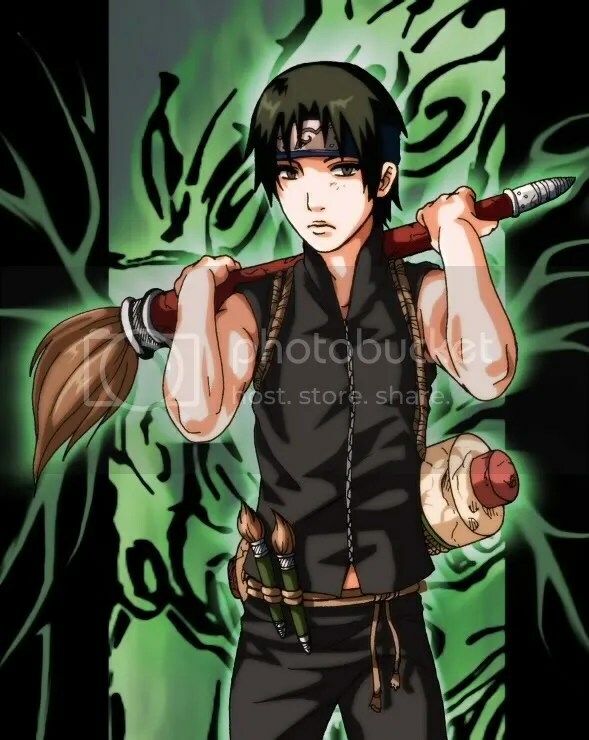 The eclectic Art Major is only as good as his skill, however, Sai is skillful and his Major course of study should come naturally for him. In his attempt at understanding how normal human beings interact, I imagine Sai seeking a Minor in Psychology. This will allow him to grasp the concepts of the human thought processes and unite him more fully with society. Upon graduating, Sai will make a name for himself selling his newly perfected art skills to companies who will want him to design propaganda for them. On the side he can sell his private artwork to make even more money for the family that he will be able to procure by means of social interaction. Finally! This, I must say, will be my favorite to write. Sakura’s undergraduate course of study would be Biochemistry. This rather grueling program is definitely not for those who are afraid of studying or committing facts to memory… permanently. However, Sakura earned top marks at the Academy and has a passion for memorization, so her handling of this rigorous path will be satisfactory, if not excellent. Biochemistry is defined as the branch of science concerned with the chemical and physicochemical (not a typo, it means the physics associated with the chemistry) processes that occur within living things. This degree is usually pursued with one of two goals in mind: pre-research or pre-Medicine. 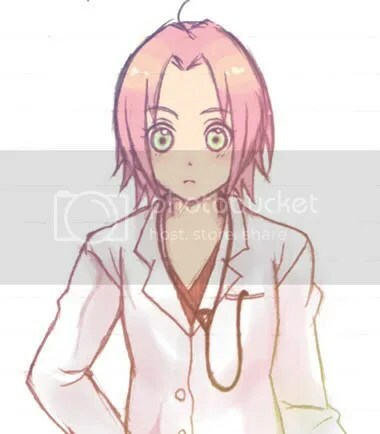 Like myself, Sakura will be obtaining this degree with the intention of applying to Medical School. After obtaining her undergraduate degree, Sakura will go to Medical School and earn her Medical Degree with a concentration in General Surgery. She will then have the option of working in a hospital or opening up her own private practice. Sasuke Uchiha. There are many things that Sasuke would excel in at a university, however, since I have to chose, I will have Sasuke double Major. His first Major will be Electrical Engineering. 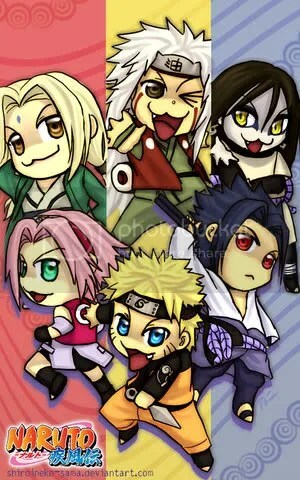 In this program Sasuke will learn everything there is to know about modern control and use of electricity. Any type of engineering is a demanding course of study, however, because Sasuke is such a proclaimed genius, I imagine that he will be able to cope with this course and then some. So he will also Major in Human Resources and Development. This self-explanatory Major will provide Sasuke with the skills he’ll need to help his engineering firm grow. Maybe after studying his second Major he will come to realize that Akatsuki was using him? Anyway I don’t foresee any graduate studies for Sasuke because I’m sure he’ll arrogantly consider himself perfectly ready to tackle his real-world ambitions. The decision for which course of study Hinata should take was an easy one for me. I have reached the conclusion that she would Major in Elementary Education and become certified to teach Kindergarten through Third Grade. Of course after graduating with her degree, Hinata would choose to teach Kindergarten! Who wouldn’t have wanted a Kindergarten teacher like Hinata, and conversely who wouldn’t want their children to have a teacher like her. Her gentile, caring, and quiet nature are absolutely prime qualities for a Kindergarten teacher. So, with that, I hope you all enjoyed this post and maybe even learned a thing or two about higher education (at least how it is in the United States). If any one would like for me to provide a sequel post with additional characters please leave a comment letting me know which ones and I would be glad to do it! It has come to my attention that Kishimoto has chosen several literary themes upon which to enrich his manga. He likes to use symbolism. 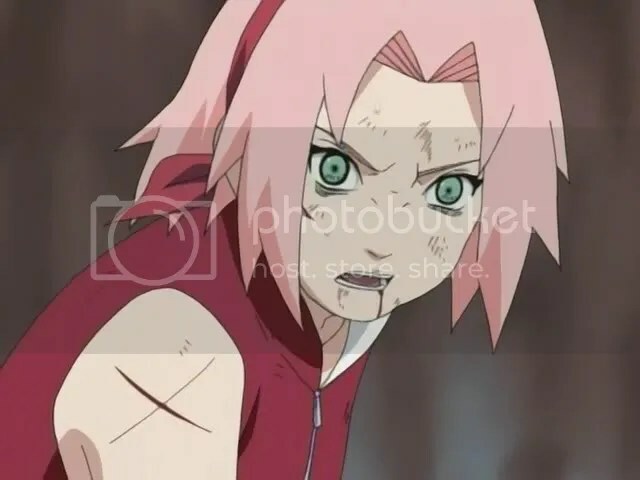 For example, when Sakura cut her hair during the Chuunin Exams, it was a symbol of her ending her weak stance on taking responsibility for protecting her comrades. Those glossy locks fell to the ground along with her hesitation to put herself in danger. From there on out, Sakura’s hairstyle came to represent her new determination to protect her teammates. Symbolism is constantly used throughout the series in the form of wildlife. A few times now I’ve seen this. For example, a butterfly will fly through the scene and then be eaten by a lizard. The lizard will scurry away before being eaten by a snake and then a hawk will eat the snake. Kishimoto will use these displays in order to introduce a scene in the anime, while actually symbolizing the conflict. Although, symbolism is prevalent throughout the series, foreshadowing comes to mind as the dominant literary element. Foreshadowing seems to be Kishimoto’s favorite device; it is definitely one that he uses brilliantly. The existence of the Sanin opened many avenues for foreshadowing. 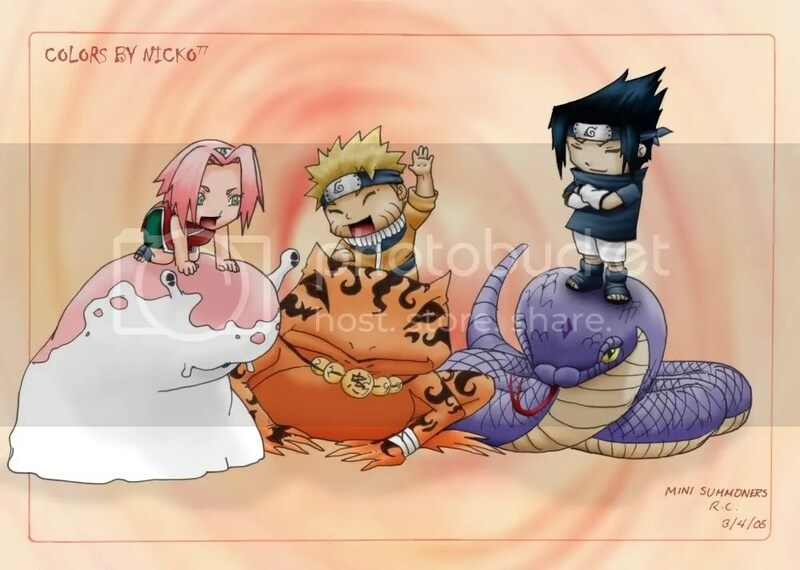 Not only were Naruto, Sasuke, and Sakura shown to resemble the early personalities of the legendary three, it became easy to predict their individual choices. We were told that Orochimaru was obsessed with the search for power. He wanted to learn thousands of jutsu’s. This obsession eventually drove him from the village, a fate that Sasuke would come to share, also in the search of power. Jiraiya was benevolent and wanted to help those that he met. He stayed behind to teach Pain, Konan, and Yahiko. We have seen this philanthropic spirit in our knucklehead ninja Naruto, as he never meets someone without leaving them better off than when he found them. Tsunade was inspired to perfect her craft once those close to her died. As a young kunoichi she was unable to save her lover Dan from death on the battlefield. She even became afraid of blood! Sakura fights fears that stem from the same vein. She is afraid that she will be unable to help those she loves when they need her the most. For each of the New Sanin, as I like to refer to them, their very fighting styles we caught a glimpse of before they actually obtained them. After seeing the legendary battle of the three, it was easy to see how Team 7’s battle styles would turn out after their training periods. Another example of foreshadowing is present in the way Team 7 relates to Kakashi’s old team. Kakashi, always ready to learn more, was considered a true genius, much like the early Sasuke. Obito was the underdog and always tried to out-do Kakashi, a lot like the early Naruto related to Sasuke. Rin was outshined by her comrades and generally looked after them. 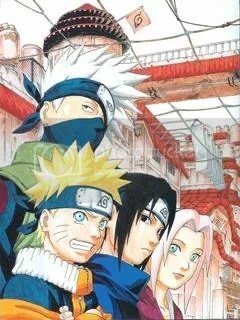 The love triangle of Team 7 was also present in Kakashi’s team, though it was a lot less pronounced. Obito liked Rin, while Rin had a crush on Kakashi, who only really cared about…learning more jutsu’s. These points bring me to the focus of this blog, to discuss the similarities between Rin and Sakura and to ask how Kishimoto’s knack for foreshadowing might play on these similarities. At this point, after recognizing the similarities in appearance and past, we can pose questions about possible similarities in their future. After Kakashi’s team grew up, we find that familiar story where Rin was captured and Minato, Obito, and Kakashi went to retrieve her. In the process of saving Rin, Obito got crushed under some rocks and was dying. Obito asked Rin to surplant one of his Sharingan eyes into Kakashi, who had lost his left eye during the mission. Being proficient in medical procedures, Rin was able to successfully carry out the transplant. While the future of Team 7 will—most likely—not follow this plot, some theories may be formulated. 1) Will Naruto die for Sakura like Obito died for Rin? 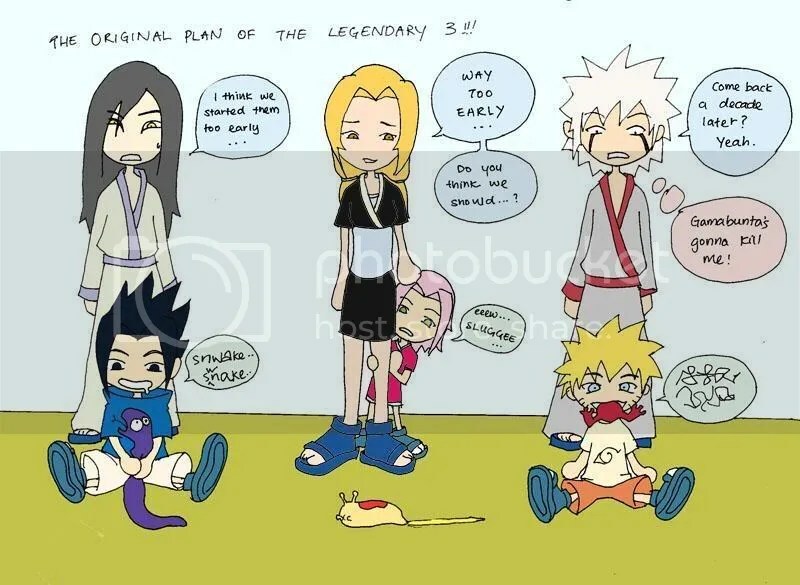 This hopefully will not happen, as it would effectively end the Naruto series! However, Sakura does seem to get caught in situations where Naruto puts himself in danger to save her. Personally, I want Sakura to out-do Rin and become self-sufficient, much like Tsunade. Considering that Tsunade trained Sakura, this is likely to happen at some point. 2) Will Sasuke have a change of heart if Naruto nearly dies? After Obito passed away, Kakashi had a change of heart. He became the Kakashi we all love today—chilled out, late to everything, and most of all a HUGE team player that holds values like comradeship in high esteem. If Naruto NEARLY dies (we don’t want to kill off the main character) will Sasuke have a change of heart? This theory seems unlikely to me because Kakashi was not in anyway trying to kill Obito when he had his change of heart. 3) Will a dying Sasuke ask Sakura to give one of his eyes to Naruto? This is a big one to me. Think of the upcoming Naruto-Sasuke conflict. 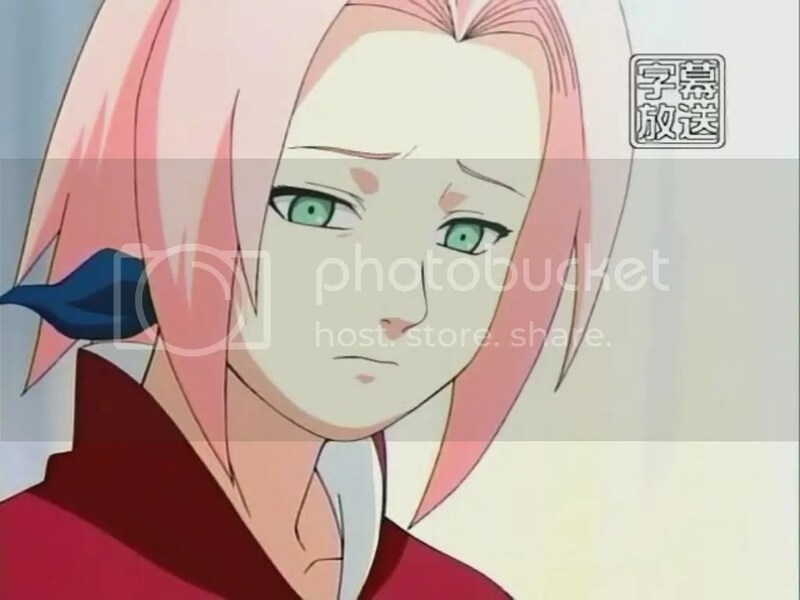 If something happens to where Sasuke is near-death and beyond Sakura’s medical help, will he offer a Sharingan eye to Naruto, in the case that Naruto loses an eye during the fight? It is interesting to consider and just think of the possibilities of a Naruto with Sharingan. Scary? I agree. 4) Kakashi lived to experience the death of Obito and the implied death of Rin. 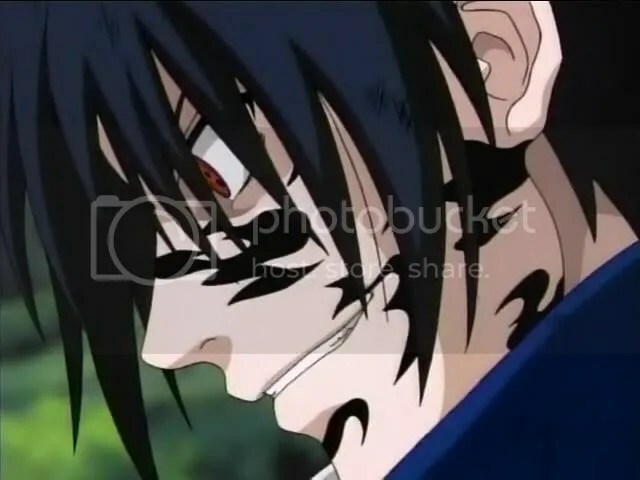 What is the possibility that Sasuke will live to experience the deaths of Naruto and Sakura? Though I feel that this is unlikely, you have to consider how this might change Sasuke. For a character that has lost so many loved ones, would the loss of the two remaining people that care for him the most change his outlook? It is a question worth pondering.